Slap bang in the heart of England, a visit to Staffordshire can be as busy or as laid-back as you want it to be. Even if you stay in the middle of the countryside, you’re never far from a busy tourist attraction you can hop off to, to fill a day out. 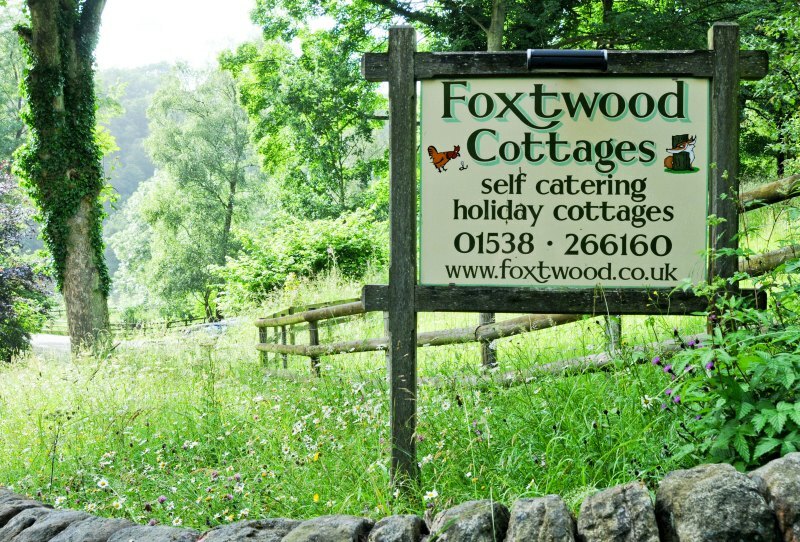 We made our base in the Staffordshire Moorlands in the excellent self-catering Foxtwood Cottages. 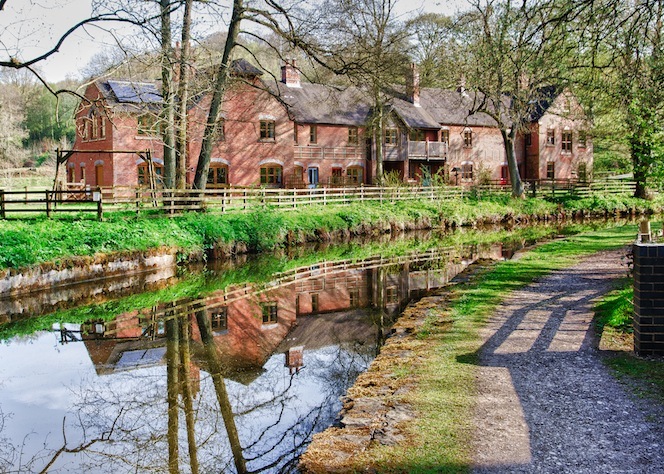 Sitting alongside their own lake and spring pond and surrounded by woodland, farmland, sheep and a small herd of Dexter cattle, which you’re welcome to pay a visit to, the cottages really are in a pretty location. There are seven cottages on site, with comfy underfloor heating and cosy log fires to light. All are furnished to a high standard. They welcome families and dogs so Barney had a great time running around the grounds mixing with the owners’ two farm dogs. 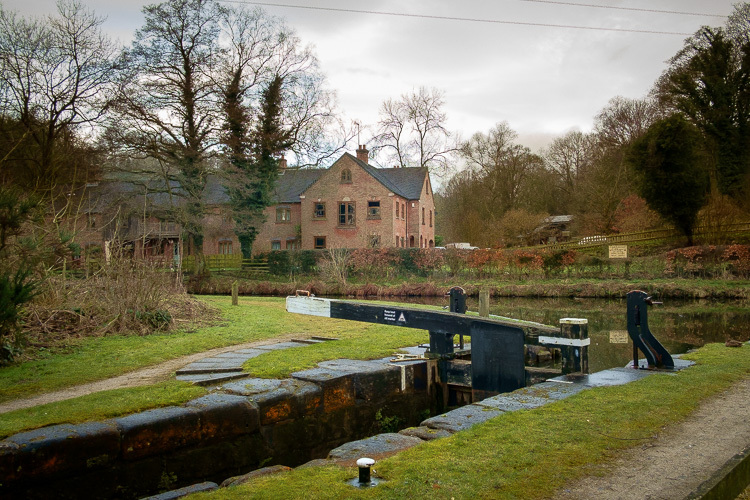 There are plenty of walks to enjoy nearby – the cottages are a short hop from the Uttoxeter and Caldon Canals and you can hear the Churnet Valley Steam Railway chuffing away in the near distance. 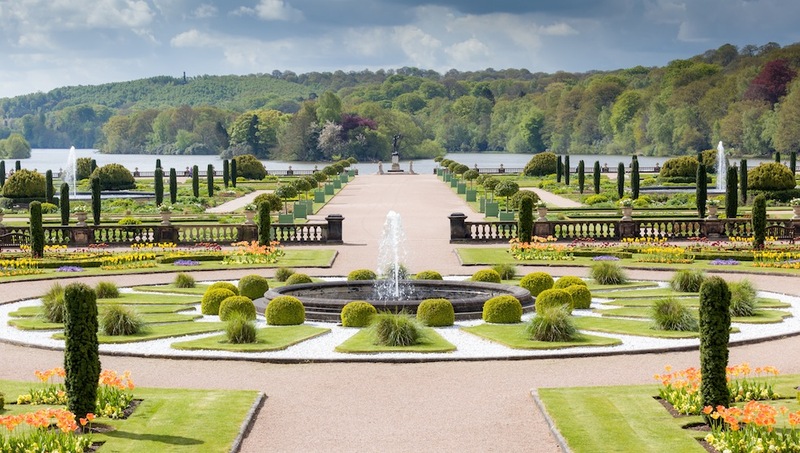 We paid a visit to Trentham Gardens in Stoke-on-Trent – home to beautiful sculpted award-winning gardens, playgrounds and adventure. 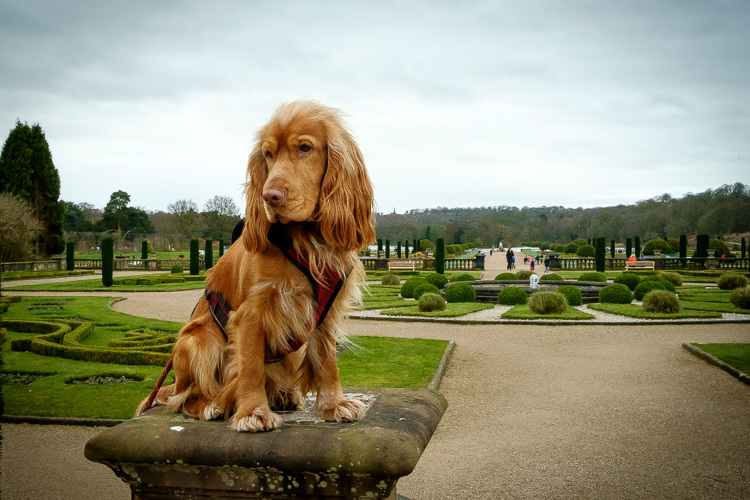 Dogs are welcome in the park on a lead and there’s plenty of walking – around a beautiful mile long lake, and through the woodland, maze and gardens. There’s also an adventure playground with an assault course, zip wire, sand pits, maze and more. In better weather, you can strip off your socks and take a barefoot walk through streams, pebbles, grass and mud or sail on a catamaran on the lake. 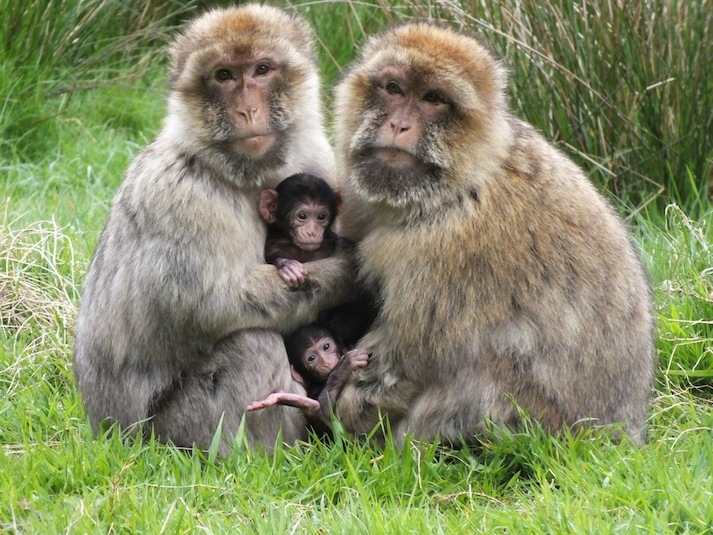 Don’t miss a visit to Trentham Monkey Forest also on the estate (you can buy joint tickets to both the Gardens and Monkey Forest) when you’re here. It’s home to 140 endangered Barbary macaques who roam completely freely as they would in their natural habitats in Morocco (many of them right past your feet if you’re lucky and they’re in a rush!). Follow the forest trail and you’ll get to see them at rest, at play, swing agilely through the trees and (on the day we were there at least) in squabbling mood. There are guides along the route who can give you all sorts of interesting information about who’s who, who’s boss, where the cute new babies are nestling in with their mums and there are hourly feeding talks where you get to see them scoff, share and gobble up their buffet. A trip to The Potteries is of course not complete without a visit to one of two of the famous ceramic factories or attractions here. It’s home to world-renowned Aynsley, Emma Bridgewater, Portmeirion and more. 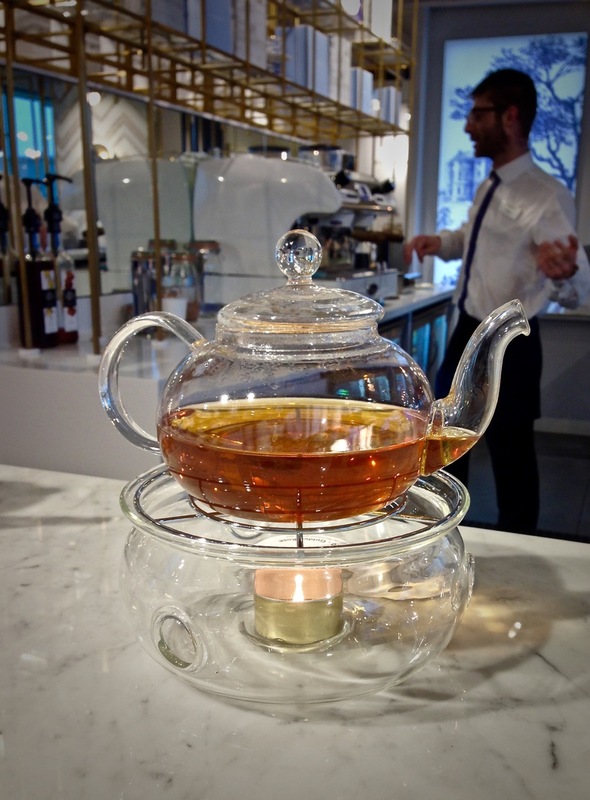 We wandered over to The World Of Wedgewood attraction, which has a Flagship Store where you’ll wow at the cutting edge designs (and price tags!) on some of the china. There’s also a Factory Outlet where you can grab some bargains and families can take a Factory Tour and get creative (and your hands messy) decorating your own piece of Wedgwood or even throwing your own pots. 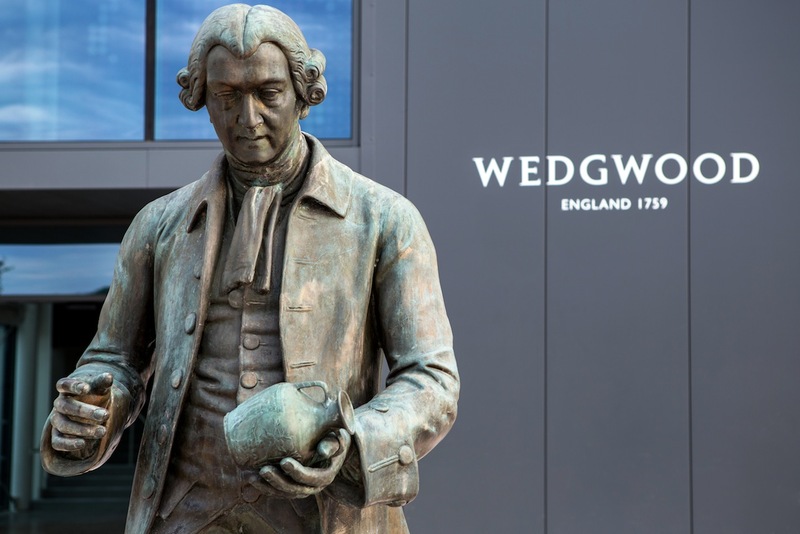 Top it all off with a very elegant pot of tea in the Wedgwood Tea Room or a hearty lunch in the worker’s canteen-inspired Dining Room. Also worth a visit is the Gladstone Pottery Museum which delves into the story of the Potteries and what conditions were like for the men, women and children who worked at the centre of the world’s pottery industry. And have a go at throwing your own pot to take home as a souvenir.